SteppingStone is the largest provider of adult day health care (ADHC) in San Francisco, serving approximately 300 participants at our four Centers. 95% of our participants have their medical insurance through Medi-Cal. For over eleven years, Medi-Cal had not increased the fee paid for adult day health care, despite a 41% increase in the cost-of-living in San Francisco during the same period. Clearly, this is not sustainable for SteppingStone, so the organization decided to aggressively seek a fee increase of 20% from either the local public insurer or the California legislature. We undertook both efforts simultaneously. Our appeal to the local insurer, San Francisco Health Plan (SFHP), began with a detailed letter to both their CEO and Board of Directors. This was done not only by Stepping-Stone staff, but also by physicians on our Board of Directors reaching out to their colleagues on the board of SFHP. In a subsequent meeting, SFHP said that they could not increase the fee on their own and urged us to seek a solution at the state level. By this time, SteppingStone had already joined with other adult day health care agencies in San Francisco to send a joint letter to state elected officials for the 20% increase. Our partners were Self-Help for the Elderly, Bayview Senior Services and Jewish Family and Children Services. 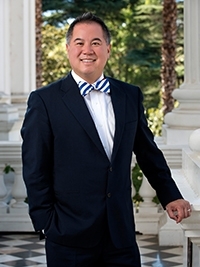 Assemblymember Ting, representing San Francisco’s 19th Assembly District and chair of the Assembly Budget Committee, quickly emerged a champion for the ADHC fee increase. On May 7, the four agencies testified before the Assembly Budget Subcommittee for Health and Human Services. This was done by Mollie Tobias from Steppingstone, Anni Chung from Self-Help for the Elderly, Cathy Davis from Bay View Senior Services and Traci Dobronrevova from Jewish Family and Children Services. Over the next several days, some two dozen senior service organizations and many individuals sent or signed letters of support for the fee increase including the SF Department of Aging and Adult Services and SFHP. With Assemblymember Ting’s support, our proposal made it through the state Assembly, but did not survive Budget Committee negotiations with the state Senate. At first, we thought our effort had failed, but later discovered that through a “trailer bill” attached to the budget legislation $2,000,000 was allocated to increase ADHC Medi-Cal Fees in high-cost areas. Governor Brown signed the budget in late June. We are very grateful to Assemblymember Ting and his staff for making this happen. Even before we learned of the outcome of the state budget, we received a letter from San Francisco Health Plan saying that they would increase the fee paid for ADHC by the 20% on their own initiative beginning July 1, 2018. The fee increase applies to all the agencies in SF that provide ADHC, not just Steppingstone. After eleven years with no fee increase, there are of course many needs for this additional funding. However, fundamentally it will allow SteppingStone to improve our services and continue expansion, so we can serve more frail elders and disabled adults that need adult day health care. We are grateful for the leadership of Assemblymember Phil Ting who championed this effort in the legislature and for San Francisco Health Plan’s Board of Directors and CEO, who made the decision to provide the fee increase requested. We are grateful as well for the support of many partner organizations that rallied to support us and make clear that ADHC is an indispensable component of our city’s support for elders and disabled adults. SteppingStone has been very productive over the last few months. At the top of the list was advocating for a rate increase for Adult Day Health in San Francisco, since the last increase was over eleven years ago in 2007. It was imperative to talk with all of the key players, and ensure that the rate increase was necessary. All hands were on deck, and DAAS (Department of Aging and Adult Services), SFHP (San Francisco Health Plan) and over 40 organizations and individuals advocated and supported a rate increase for Adult Day Health. The four non-profit ADHC’s strategically planned with California Association of Adult Day Services (CAADS), and with the help of Assemblymember Phil Ting it passed the Assembly in Sacramento. Although it did not pass the Senate, it got the attention of significant San Franciscans. The Board of Directors and CEO for SFHP voted to raise the ADHC rate in San Francisco. We greatly appreciate the generosity of SFHP, and thank everyone who worked together and took part in finalizing the process. At SteppingStone Mission Creek Day Health, the double shift is growing. Thanks to the Dignity Fund, we were awarded a grant to specialize in serving LGBTQ seniors in San Francisco. Staff members from SteppingStone and OpenHouse have worked together to give presentations to numerous agencies and have sparked interest in the community. During Pride Week, cheerful participants enjoyed the special events: Drag Show, panelist speakers from OpenHouse, and a screening of Ms. Major! We hope to begin enrolling LGBTQ seniors in the new program next month. Lastly, we are happy to announce that SteppingStone has a new catering vendor, “Paparikas” to serve the four centers. With an Asian fusion flare, these tasty entrees, fresh salads and fruit will not only put smiles on the participant faces, but also comply with the Department of Education’s food guidelines and regulations. We are looking forward to having a strong and delicious working relationship. SteppingStone’s Board of Directors has offered to match dollar-for-dollar donations made in July and August to help the organization purchase a new computer server. All donations will be matched up to a total of $10,000 is reached. Purchasing a new computer server is essential for Steppingstone because of the importance of maintaining information for the both the agency and our participants in an efficient and secure manner. The agency’s current server system is now nine years old simply needs to be replaced. SteppingStone’s technical support firm, Silverback Systems, recommends replacing the old system with three new computer servers and nine virtual servers. Replacement and transfer of all data will take several weeks and cost approximately $20,000. You can help with this effort by making a donation of any amount at our website, steppingstonehealth.org or by mailing a check to Stepping-Stone, 930 4th Street, San Francisco, CA 94590. Donations up to $10,000 will be matched by members of the Board of Directors so your support will automatically be doubled. Under a contract from the SF Department of Aging and Adult Services Steppingstone has launched a project to serve LGBTQ San Franciscans that need adult day health care. (LGBTQ stands for lesbian, gay, bisexual, transgender, queer/questioning) The project is being undertaken in partnership with Openhouse, San Francisco’s premiere LGBTQ senior service agency. “First, we will design activities to be used in an adult day health care setting that will appeal to LGBTQ San Franciscans. We want the program not just to be a queer friendly and welcoming space, but fun for the participants. • Three LGBTQ Pride events organized at the Mission Creek Center including screening the film “Major!” a LGBTQ panel of elders entitled “Wild Tongues Cannot Be Tamed” and a daytime drag show entitled “Tenderloin Queens’ Revue”. For more information about the LGBTQ project, contact D. Hilton at dhilton@steppingstonehealth.org or the Mission Creek Center at 415-974-6785. Please consider using AmazonSmile, they'll donate a portion to SteppingStone every time you shop.